In response to the accelerated urban construction in Sanya, the Municipal Government has given priority to traffic management since the beginning of 2010, reports sycb.com.cn. 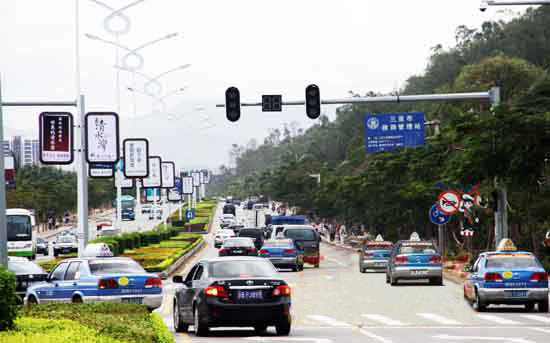 The Sanya government has increased investment in traffic hardware facilities to improve the urban traffic management. A total number of 4450 parking spaces and 439 road signs have been added in the city. The Sanya traffic police also actively coordinate with relevant departments to improve and broaden some narrow sections on main roads for vehicles. These measures have effectively alleviated the urban traffic pressure on some of the roads and reduced traffic congestion. Besides, the Sanya Public Security Bureau has strengthened punishment on traffic violations so as to regulate traffic in Sanya.